Red Bull Air Race: The Game is the new video game from Slightly Mad Studios, responsible for car simulator Project Cars. The racing title with aircraft will be released in 2016 exclusively for PC. The game is developed in partnership with Wing Racers Sports Games. "We've been working on quietly for months that title full of action, and we cannot wait to show the first scenes," said Jens Ott, director of the company and project leader. The expectation of the developers is to convey emotion, speed and real championship expertise. In competition, riders control small planes but very agile and should follow a trajectory that involves maneuvers and even spins in the air. A "track" is marked with giant inflated gates, and wins who fulfill the track in the shortest time. The title will feature 14 pilots of the category and the various actual locations where the races are held. Remember that there is already a game with the same name, Red Bull Air Race: The Gam, available free for Android and iOS. 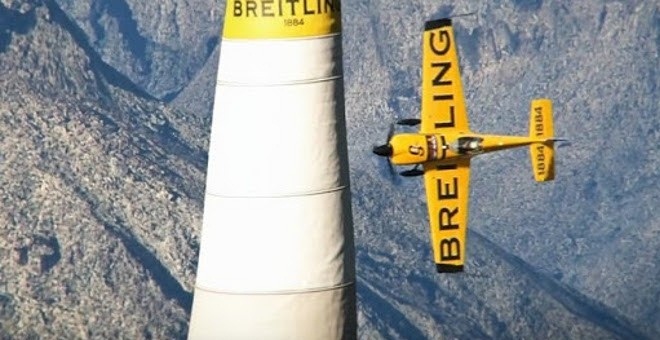 Check out the trailer disclosure Red Bull Air Race: The Game in its version for PC.